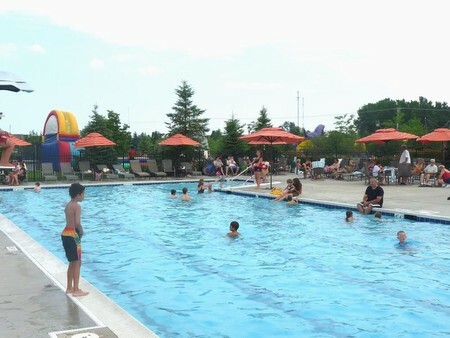 Swim, Soak, Splash and Tan with the whole Family! 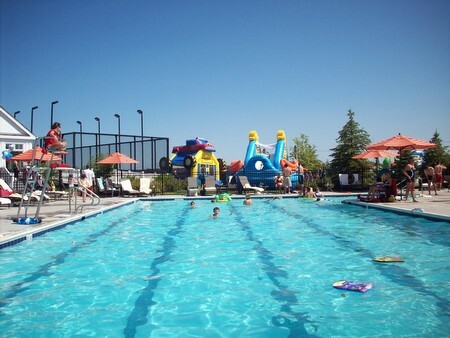 From the Friday before Memorial Day until just after Labor Day the pool provides members, families and their guests a fun and safe place to hang out with friends, enjoy a summertime beverage or just lazy afternoons with a book. Be sure to enjoy one of the clubs annual holiday events, with summer time BBQ favorites, live music, and or fun swimming/pool games. Men’s and Women’s locker rooms are located inside of the Fitness Center. Each locker room provides direct access to the Pool deck and complimentary lockers are available for the day. Please see the attendant at the Fitness Center desk to receive a locker key.